This wonderful Cape-Cod style home is on 4.82 acres and has a 1 or 2 bedroom suite, a detached shop + garage, RV and boat carport, plus is fenced and x-fenced for horses. The main floor has a nice open layout with hardwood floors throughout, big bright kitchen with lots of cupboards, a main floor master suite with full ensuite and big den or office area. The bright naturally lit basement suite is perfectly set up with separate laundry, and is configurable as either a 1 bed or 2 bed suite. 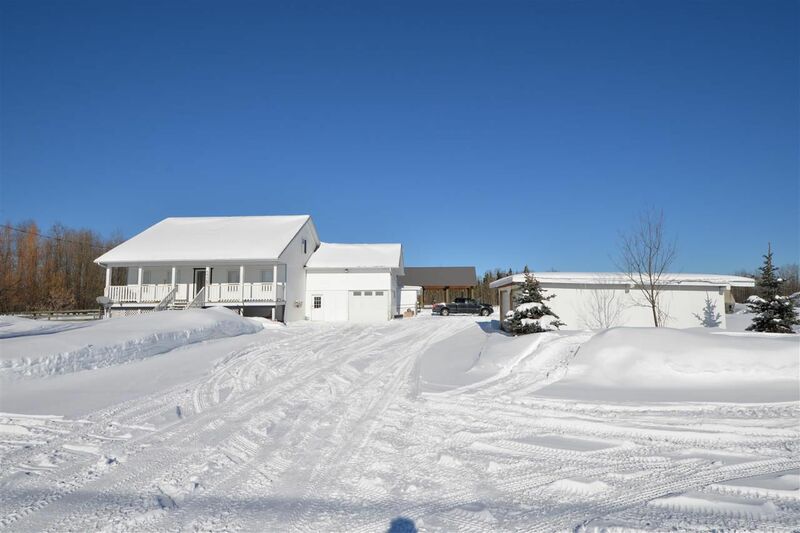 Out back there is a multi-tiered deck with hot tub plus the acreage has lots of outbuildings for storage etc. Fenced areas have previously been used for dog breeding and horses and are a great hobby farm setup.